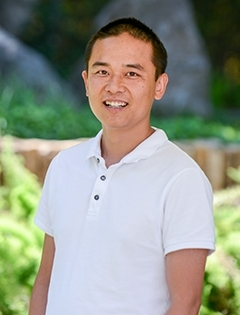 Dr. Binghai Yan is taking topological materials higher. Creating new materials for everyday life—think bendable electronics, quantum computers, life-saving medical devices and things we haven’t yet dreamed of—requires understanding and creatively brainstorming new possibilities at the atomic level. This is the essence Dr. Binghai Yan’s research. His field is topological materials, which is fusing theoretical science with practical engineering and taking the physics world by storm. And yes, his name gives away the other special news: he is the first principal investigator from China hired by the Weizmann Institute. Topological materials and states involve a kind of order very different from conventional bulk materials in that electrons (and their lattices of atoms and molecules) on the surface of a crystal or other material behave differently than those in the material itself. In is the special nature of such topological materials and states that can be leveraged for the creation of new materials. He straddles the world of theory—how such states could work—and experimentation—trying out the materials to synthesize new materials and devices such as quantum computers. So how did a Chinese physicist who grew up in a remote farming village in Shandong Province in eastern China make his way to the Weizmann Institute? After completing his BSc at Xi’an Jiatong University in Xi’an in 2003, he earned a PhD in physics at the Tsinghua University in Beijing in 2008. He did postdoctoral research at the University of Bremen in Germany, when the field of topological research was beginning to take off. But it was still a relatively niche subject in which few physicists were working. Thanks to a flexible postdoc grant, the prestigious Humboldt Research Fellowship, which allowed him to spend time at other institutions, he spent eight months at Stanford University learning from a leading expert in the field. He returned to Germany to become a group leader (the equivalent of a principal investigator) at the Max Planck Institute for Chemical Physics and Solids in Dresden. It was then that he began collaborating with Weizmann Institute colleagues—thanks to an introduction by Prof. Ady Stern at a conference in Germany—including Prof. Erez Berg and Dr. Haim Beidenkopf, all from the Department of Condensed Matter Physics. The collaboration was enabled by an ARCHES Award given by Germany’s Minerva Foundation, which stimulates collaborative projects by German and Israeli scientists. He visited the Weizmann Institute for the first time in 2013 to advance this work. Last year, he received a competing offer from a university in China, but took the Weizmann offer “because of my existing collaborations and potential collaborations, the depth of theory and experiment work here, and the fact that Weizmann is one of the few places that is advancing this field,” he says. Dr. Yan has already discovered a new class of topological materials: a three-dimensional, layered, metallic insulating material which he grows in the lab. He has done so by way of his expertise in electron charge and spin, and so this research has implications for the new, hot field of “spintronics”. Spintronics differs from traditional electronics in that it leverages the way in which electrons spin—not only their charge—to find better efficiency with data storage and transfer. This, in turn, has relevance for the new age of quantum computing, and he hopes to collaborate with quantum computing pioneers at the Institute. The family arrived in February and moved into campus housing. His wife is now pursuing a PhD under the guidance of Prof. Dan Yakir in the Department of Plant and Environmental Sciences. They have two kids, a boy and a girl, who just began learning German, and now are getting used to Hebrew—and they speak Chinese at home. 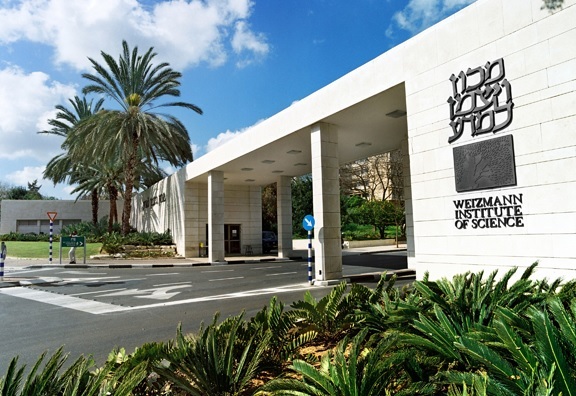 Dr. Yan is finding opportunities to collaborate with scientists in Germany and China, and has already begun organizing a workshop on topological systems at the Weizmann Institute (together with Dr. Haim Beidenkopf and Dr. Nurit Avraham, also of the Department of Physics of Condensed Matter Physics), to which he has invited leading European and Chinese physicists and other leaders in the field. Dr. Yan is supported by the Ruth and Herman Albert Scholars Program for New Scientists.